We’re so happy to announce that our little family is growing once again! In a few short weeks, our family of four (duh, we include the dog) will become five! Big sister Mia is very excited for our new arrival, but I think she might be a tad disappointed by its lack of fur. Dasha the wiener dog is thoroughly appalled at having to wait longer to get my her beloved lap back (but excited at the prospect of twice the amount of baby food being thrown around!). Are we crazy? The magic eight ball points to ‘without a doubt’. If you guys notice a lack of new dog shaming posts in a few weeks, you’ll know why! I’m going to work as hard as I can to keep up with the website over the next few months! 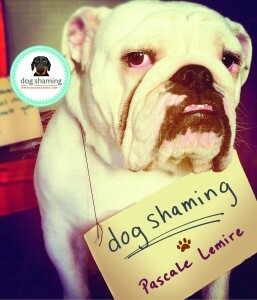 Exciting news for your whole Dog Shaming family! We wish you all joy together (and lots of material for new postings). Wishing you all the best as your family expands to 5! Congratulations! It will be difficult not getting my daily dose, but I will TRY to be patient. Congratulations! 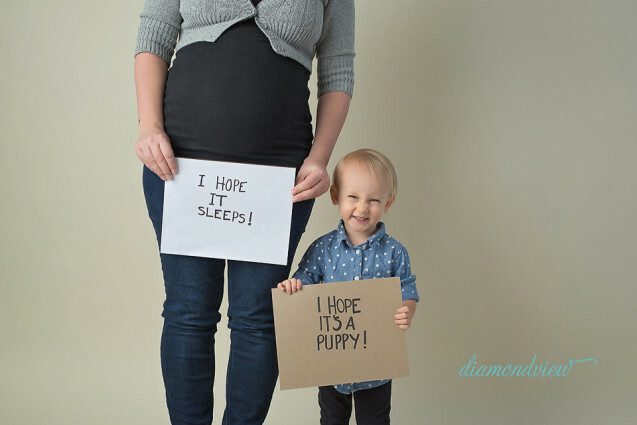 What an exciting time for your family! I’ll just do some catching up on the archived shaming posts! Best wishes…..
Congratulations on the pending new arrival! Take good care of yourself — and don’t worry about us too much; we will definitely survive while you settle in with the new baby! And Mia… it ain’t gonna be a puppy!!! This was such a fun session! Can’t wait to meet your new babe! I too offer my congratulations and my sincere hope for Ms. Dog-Shaming that the labor and delivery is smooth and short! Congratulations, and thank you for all the entertaining posts! Congratulations and best of luck for a safe and joyful birth. Congratulation and best of luck to you! I will miss new posts very much but you have more important things to do!